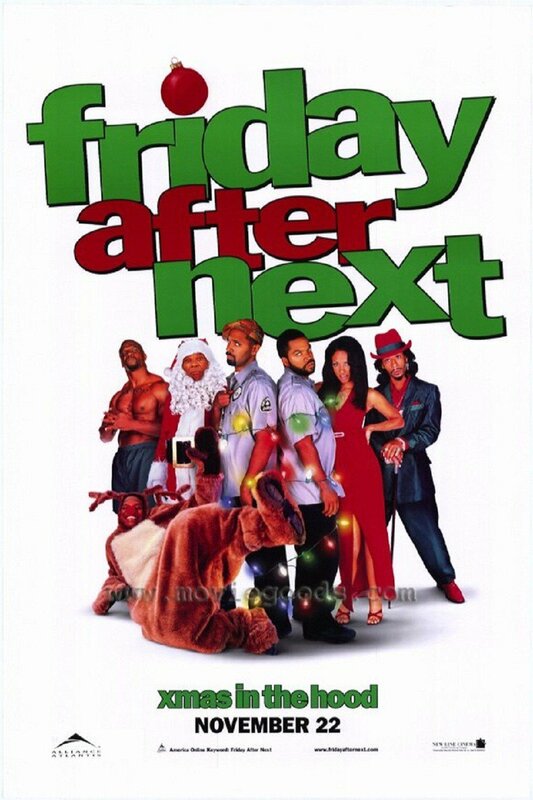 Friday After Next is a 2002 American comedy film directed by Marcus Raboy and starring Ice Cube and Mike Epps. It is the third installment in the Friday series. The font used for the film title in the poster is Franklin Gothic Heavy, which is a bold realist sans-serif typeface originally designed by Morris Fuller Benton in 1902. The typeface is very popular among many advertisements and headlines in newspapers. In addition to Friday After Next, Franklin Gothic typeface is also used in the following logos, movie posters or album covers etc., including: Ramones, Bank of America, Dropbox, What Maisie Knew, Vampire Academy, The Dark Knight Rises, Labour Isn’t Working, Run–D.M.C., Bill Cunningham New York, Milo Goes to College (Descendents), Mystic River, Aardman, Rocky, Cosmopolitan Logo, Godless (TV series).